The Good e-Reader Mini is the first 6.8 inch e-reader that features capacitive touchscreen display and a WACOM screen. You will be able to take notes, make highlights and annotations with the accompanied stylus or use gestures and pinch & zoom. We designed this e-reader to be an affordable option to our 13.3 inch e-Reader and it even runs the same robust software. The Good e-Reader 6.8 is pocket friendly and is extremely portable. Wow! This is exciting. Would this support connection of a keyboard via Bluetooth? An e-ink screen for on-the-go word processing would be lovely, I think. It does not support Bluetooth, you can think of it as a portable note taking device and e-book reader. While novel, I think a new product is too soon after the first. Especially with a lower price. Unless the first isn’t doing too well or traction from the first is so good that this one’s sales can depend on market and sales inertia from first. I am most interested in latency between writing and seeing what I have written show up on screen. The disconnect between the real paper experience and the good e-reader will be desiding factor. Most fora indicate users want real time response for note taking or they quickly look at other factors like price and other features. Positioning oneself in the note taking segment with no blurb on response time and latency innovations hints towards a problem therein. Please tell us about latency and responsiveness. Our 13.3 inch has been on the market for a year, and it is time for a modern device that does more things that users wanted. Front-light, smaller screen, portable and more affordable. The pen has 1000+ degrees of pressure sensitivity. By what extent will this e-reader be cheaper than its larger predecessor? A rough figure, if possible? Thanks for the response Michael, the 13.3inch started shipping less than six months ago if I recall. That said, “a modern device that does more things that users wanted. Front-light, smaller screen, portable and more affordable. The pen has 1000+ degrees of pressure sensitivity.”, is EXACTLY what we hope to hear. I also note that you are still silent about the note taking experience. I love you guys and your good e-reader is still top of my list especially since ReMarkable is clearly vapourware. I recommend none of you even consider purchasing/supporting. Their 13.3 inch ereader has been delayed, and my aunt has been trying for weeks to get a refund without any response. We honestly do not know yet about the response time and latency innovations, aside from the stylus. The note taking experience will be on par with our 13.3. If possible, can you share with me raw customer feedback on the 13.3? I would love to know what the users are saying. I know the strengths (FULL ANDROID) and e-ink display (thus hopefully longer battery) but I would love to know the gripes. Response time == how different is it from writing on paper. Is it noticeable?Is it PAINFULLY noticeable? We will be posting a video shortly that focuses on the note taking experience for you. Jake, I don’t think the technology right now allows anything but “painfully noticeable” for writing on e-Ink, on Good eReader or any other device, so far. They are still much slower than tablets (like iPad Pro) and I feel myself noticeable on tablets. I just think we are not yet there. Thanks for this Ausias, do you have a Good E-Reader? I would love to hear more. Are you a note taker? Not really. I have just tried iPad Pro and MS Surface Pro on the shops. The first experience is that seems ok to draw (which I don’t do often, so an artist probably thinks differently), but not too good to write. I wouldn’t write a page with that, just some quick short notes. I tried the Sony eReader once (the one you can write), and all the videos I’ve seen on e-Ink devices, and they are much much slower. Maybe, after a couple of weeks of using it, you “get used” to it by simply writing slower. But, right now, I can’t write the same way as I do on paper. Believe me, it’s something I have been looking forward, and I hope we get there soon. It seems to me that you have the same interest to this that I have. 1440 x 1080 and has 300 PPI. What will be the cost? 6.8 is the perfect size for me and can I read my kindle and nook books on it? Will it be in stores or mail order only? I’m an owner of the 13.3 and you will curse the day that you first looked at this product. I waited for almost one year for mine and it is as slow as #%!. They have terrible customer support and clearly don’t care about their customers at all. May I ask what you were doing with it? I would also like to know what it was slow compared to. But I might intuit that from what you were doing. My Kindles are slow at opening books and doing kindle wide searches for key words or authors names. But that is not an issue since nothing else gives me the value proposition of a kindle (not the kindle fire. that is crap imho). My Xperia z5 recently died and I am slumming with a Samsung on7. It is slow and doesn’t do the most basic stuff I know and love on xperia but I KNOW it is not xperia so I am good with that. What I am trying to say is I need more context. I would love to read that you “tried to do ” and that “you got “. That would help not just us future buyers but also provide feedback to Good E-reader. FYI, with regard to support, I have NEVER not gotten a response from them and I am not even a customer (yet). So probably they will dump me when I buy. Give me some context and details please Alan. And thanks for responding to my request. I find this input helpful. All of this is fixed with our new product! So I would not expect this product to be like a kindle, or even a kobo reader. it’s hard starting something like this, and I think people are being unrealistic and kind of jerks. 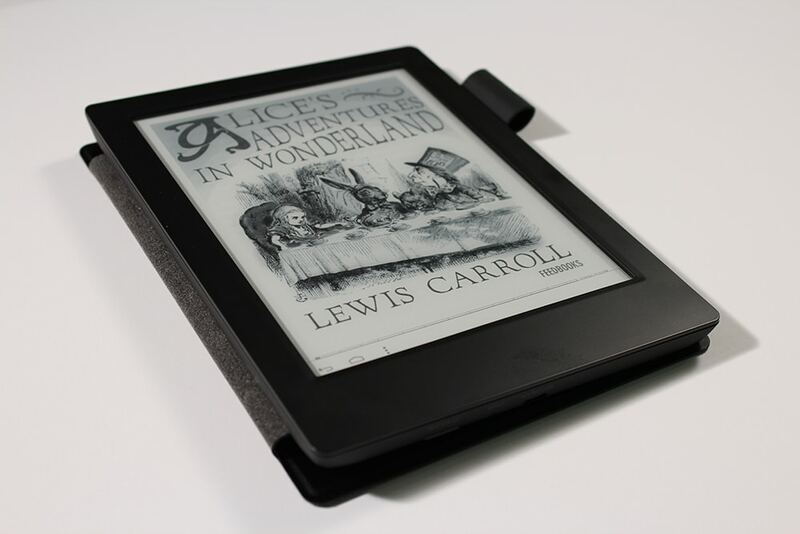 But I honestly think if you take the time to develop this, it could seriously compete with every ereader on the market. And if you give it bluetooth connectivity for a keyboard, it would compete with the freewrite. I’m a little baffled as to why the Ereader market is so choked with junk, and this is by far the most promising thing on the market, but I think it needs serious research put into making it faster, with more screen response, and Bluetooth connectivity as well as a micro sd card slot, would just make this the ideal replacement for books. This is meant as helpful advice, not destructive criticism. It is going to retail for $199 and you can read your Kindle and Nook books. We believe that people should have the freedom to read e-books from any retailer they want and not be locked into a specific ecosystem. This device DOES have a microSD. Designing an e-reader from scratch is expensive, it often requires 100,000 unit MOQ, which means we would need to raise 1.4 million for a faster device, with Bluetooth, audio and everything else. We do not think a startup like ourselves is capable of generating that type of revenue, so we have to balance between what is affordable and realistic. The only companies truly capable of doing what they want is Amazon and to a lesser degree Kobo. Everyone else is constrained by the money they have now, or the crowdfunding route. 265ppi is exactly what Onyx Boox T76 Plus 6.8″ offers. What is the difference between this and Onyx Boox 6.8″? We have a better note taking app, ours is more affordable, we have 8 LED lights on our front-light, ours is modern. So basically you’re telling him to just buy the new one, and to not bother with the one he owns that has problems. First sorry for my English if there is mistake. I know you have written this post a long time ago but I may be able to help you. I own a 13.3 good e reader device, and other note taking devices (ipad. Microsoft surface pro and wacom cintiq). I will first start by saying that you will have nothing better than pen and paper. It will not be the same thing as taking a traditionally notepad or something like that and writing in it with a pen. The technology doesn’t go as far as this. After that it all depends on what you want from your devices and what you will accept. For the good e reader 13.3 I would say that there is latency but it is managable. Let me explaine. If you write in a sudden burst, very quickly like a small not that you scramble on a corner of a page then you will see the latency as far as you write and the text will appear after. If you write very slowly they will be no latency. But I find myself writing quite faste (not as fast as a quick not on the side in a middle of a rush) but faste like listen to a seminar and taking not there and I fell it is OK. I can still feel that I am not writing on paper but I fell that it is manageable for me. I have to note that I only use the build in app for note taking. If figured out that if you download other app that need to be on a newer version of Android that they will lag very badly and the latency will be very bad (much worst than this quick note that you maide again coming back at this example). So I didn’t download third party app such as Onenote ore something like that (which will completely defy the purpose of such a purchase for some people but I think it is important to know). For reading the Good e reader 13.3 is…. A classic e reader and is very good. I will say that for reading the experience is comparable as on a kobo screen or a kindle one. For note taking on PDF it will lag and you definitely need to get use to it. I know I didn’t so I just read PDF and don’t annotated them. Because the note taking experience on PDF largely depend on a third party app it will then again depend on the app. The problem of all these other app is that they are not optimised for e ink display and only LCD or OLED. Because of that the apps will feel sometime chunky, difficult to managed. If you make the comparison with the ipads or a Microsoft surface pro, well… there it will be a bit difficult to. I would say that because the app are better optimised it will make a lot of difference in the way it feels, more polished if that make sens. You can still feel the latency on those displays too but yet again, because the optimisation is here, the experience seems better. Let’s not forget that these platforms let you do much more than reading or taking note as they can be considered as computer replacement for some. When I take quick not on an ipad I feel it is more managable that on the good e reader device sometimes (more then once actually). Why do I write all of this on the 13.3 as you asked for the 6.8, because my guess is that the 6.8 comes with the same software as the 13.3 with similar e ink technology and optimisation on the software side. So I think the experience you have on the 13.3 may be very similar than the 6.8. If the good e reader team decide to make a big shift in the software department then the experience may change (and it can be a drastic change). So bottome line: there is latency when your write you definitely feel it. But you can still take note as you listen to a conference for example. The note taking experience on PDF is bad but reading theme iis find. Purely reading is great!